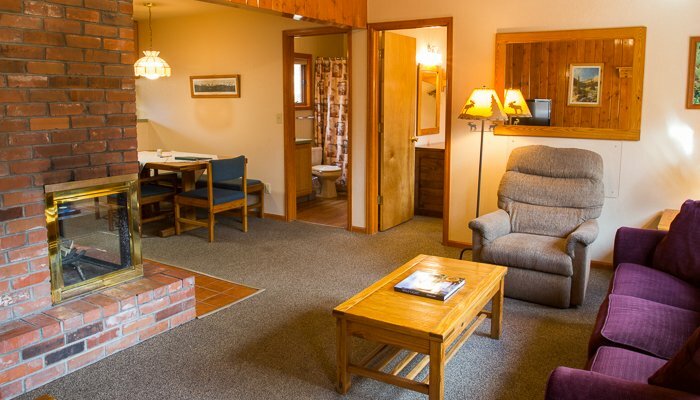 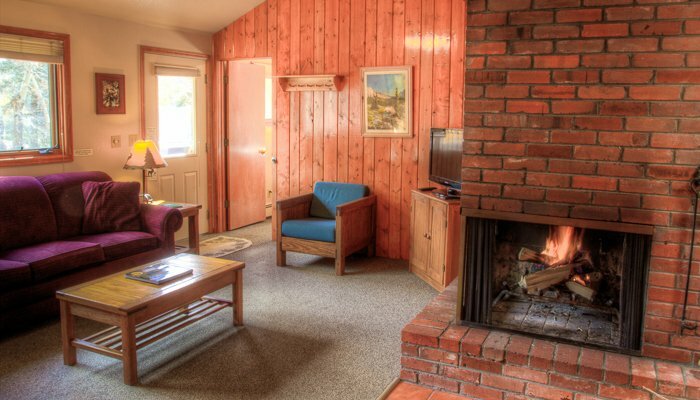 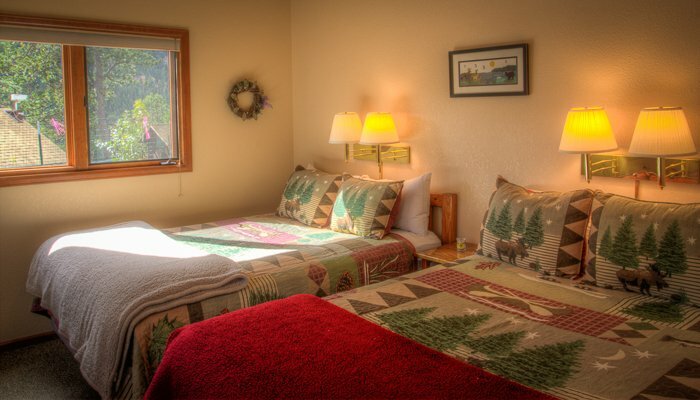 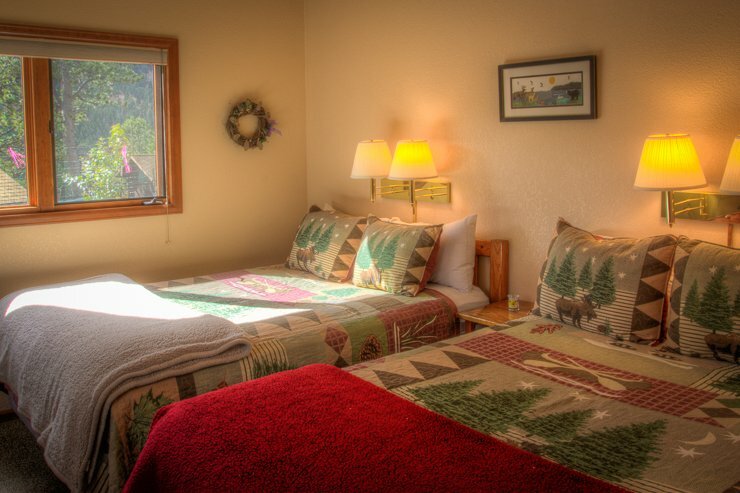 To view availability calendar for our Ponderosa Cottage, click here. 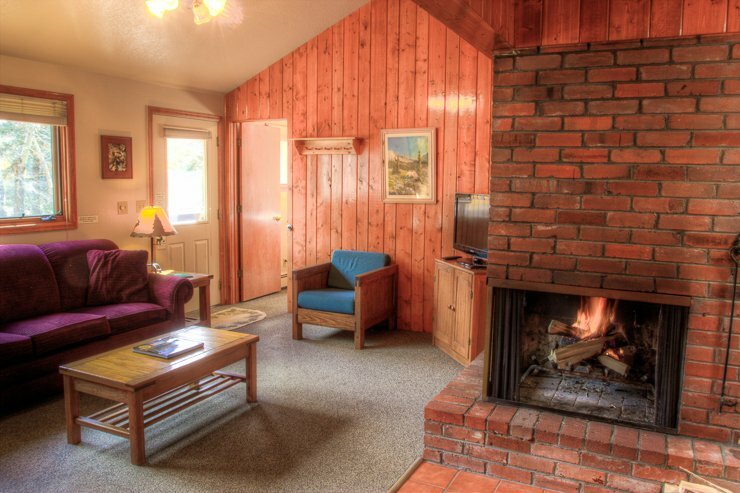 The Ponderosa Cottage is dog friendly. 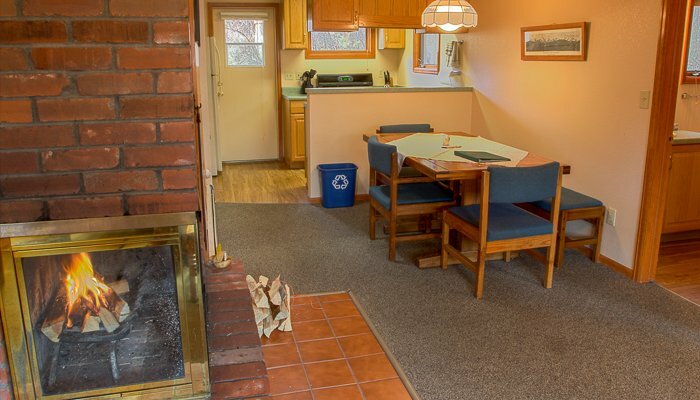 Gather the family around the wood-burning fireplace under the soaring ceiling of this two-bedroom one-bath cottage. 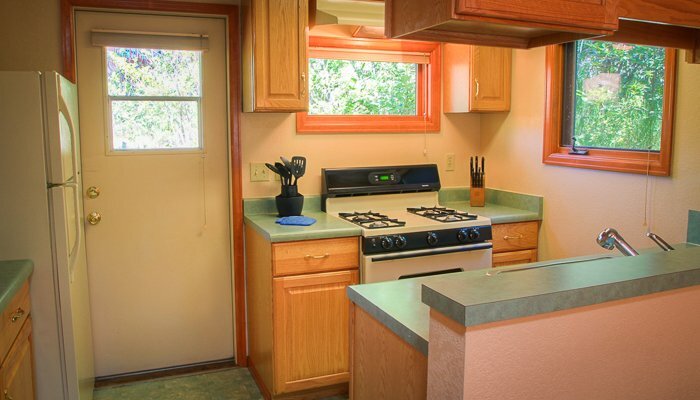 For an evening out, grill on your private patio while watching the kids at the adjacent playground. 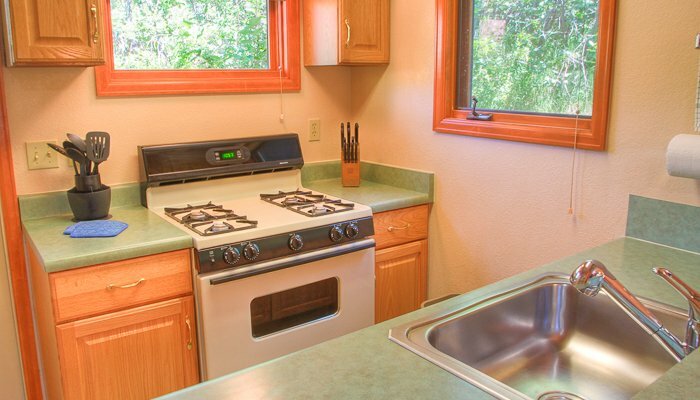 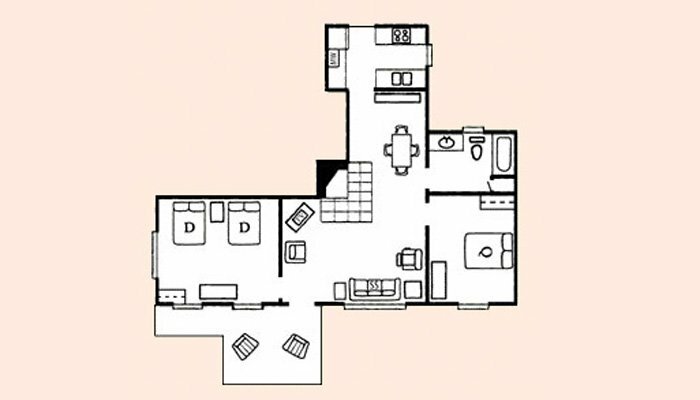 There is a fully-equipped kitchen with microwave and a full bath with jetted tub. 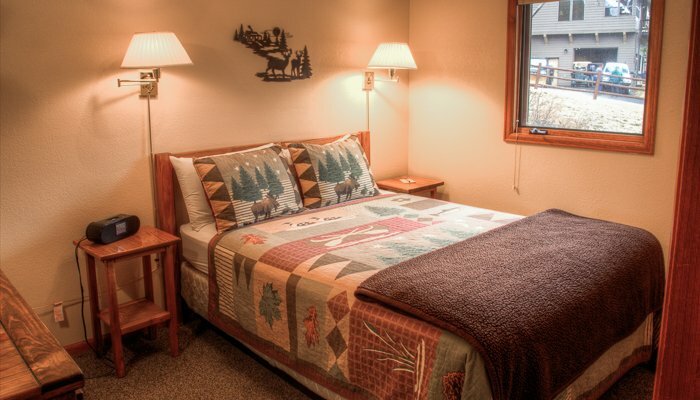 Sleeps eight with two on the sofa sleeper.